Need a little more money for the holidays? Enter for a chance to win $50, either in cash or in Amazon gift codes! Please leave a comment once you've entered - thanks! $50.00 Amazon Gift Card or PayPal Cash Giveaway! The holidays are always a jam packed, crazy whirlwind of a time. Between hosting parties, shopping for gifts, and traveling to see family, it may be just a little rough to sneak in a little treat or two for yourself. That's why we wanted to give away one $50.00 Amazon Gift Card OR $50.00 Paypal cash to one lucky reader. We are so grateful for those of you that visit our sites, read our blogs, enter our giveaways, and all around share in our lives through our posts. What better way to thank you, than with the money to buy the gift YOU really want for the holiday, not a gift someone THINKS you want. Giveaway open World Wide. VOID WHERE PROHIBITED BY LAW. Must be 18 yrs or older to enter. Giveaway ends December 21, 2012 at 11:59pm EST. Only 1 person per household may enter. Rules must be followed and required entry must be answered. All entries will be void if required entry is not completed. All winning entries will be validated. Winner is selected using Random.org, notified via email, and given 72 hours to respond. In the event a response is not received, a new winner will be chosen. By entering this giveaway you agree to have read these rules. Winning could not be any easier. Just enter on the Rafflecopter form below. Disclosure: Prize fulfillment comes directly from Host Blogger TheGiveawayGals.com. Owner and writer of this Blog is not responsible for prize fulfillment, lost or stolen prizes. Prize can take 4-6 weeks to be delivered. I get emails from you and that is where I learned of this sweepstakes. Thanks for the sweeps. I heard about this through your e-mail. Found it on Frugal Follies! I read about it through my email subscription to your blog. I heard about it right here. I heard about the giveaway right here, and I found your Blog via Couponing and Cooking linky party! I came to this blog following a link on Just Sweep.com for the chocolate gift basket. I heard about it on facebook. The "mgagliano" Pinterest link on http://thegiveawaygals.com/last-minute-money/last-minute-money-fbtp/ leads to a 404 page, so I couldn't follow her. I heard about it on online-sweepstakes.com. YES I entered on frugal follies! I heard about it from Frugal Follies blog. I heard about this through MoneySavingMom.com. Heard about this through Money Saving Mom. I heard about this thru OLS. 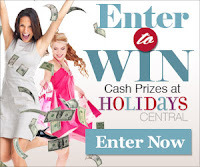 I heard about this contest through visiting frugalfollies.com and looking at the sidebar. I heard about this from Frugal Follies blog. Thanks so much for the fantastic giveaway and happy holidays! I saw it posted on your blog. I found out about the contest on OnlineSweepstakes.com - thanks! I found a link on the Online Sweepstakes website. I heard about this giveaway on online-sweepstakes.com.